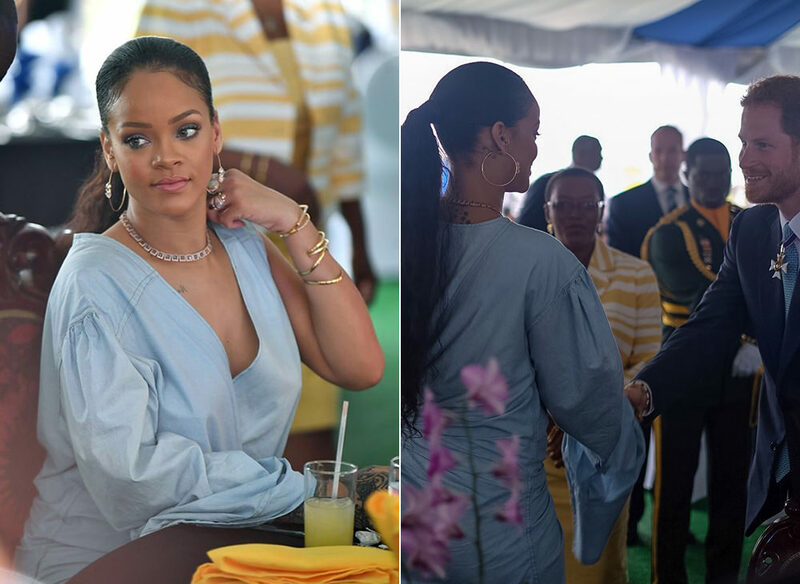 Rihanna is back in Barbados to celebrate Barbados at 50! Today marks fifty years since Barbados gained independence from the British monarchy. The small island nation held several events to mark the momentous occasion. The country’s leaders and specially invited guests gathered this afternoon at the Toast to the Nation lunch. Prince Harry was present as the representative of his grandmother Queen Elizabeth II. While there he shared a moment with Barbados’ own princess. Styled by Jahleel Weaver, the international superstar wore a piece by Matthew Adams Dolan. Dolan is one of those young designers who counts Riri as a fan. She’s worn something from each one of his collections and he’s only had three so far. Today’s look is from the Spring/Summer 2017 collection. It’s a loose-fitting denim wrap dress with one elongated sleeve. The other sleeve forms the wrap. You’ll have to wait a few more months before you can have this one hanging in your closet. Her jewellery included a necklace, earrings and rings by Jacquie Aiche. She sported a large pair of pyramid baguette white opal hoop earrings and a rose gold Cleopatra choker. She also wore one green toumaline petal crown ring, a rose gold raw diamond Hanalei ring, an oval signet ring, a two row blue opal oval ring, several moonstone eternity bands, a white opal brick ring and a must-have teardrop diamond tiara ring ($2,190). Update: Thanks to Aiche and her amazing team we now have photos and info on most pieces. Update: We finally have some full-length shots of the look. 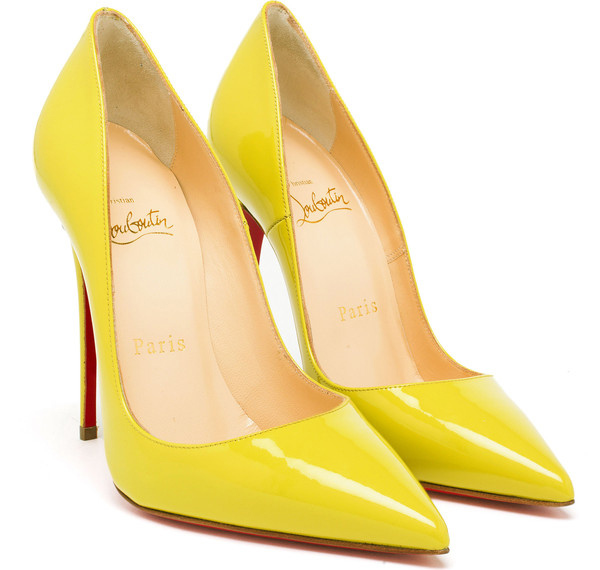 Rih wore a pair of Christian Louboutin‘s So Kate pumps in patent yellow. Though severe rainfall yesterday greatly affected the events, the unveiling of the 50th Independence monument happens tonight. Hopefully, Rihanna will be present to serve us more fashion.